Dateline: Stockholm, Sweden. Penang, Malaysia. Port Harcourt, Nigeria. Today, the Right Livelihood Award Foundation in Stockholm announced the University of Port Harcourt, Nigeria to be the world’s fifth campus of the Right Livelihood College (RLC). Committed to building knowledge and sharing practical solutions for a peaceful and sustainable world, the RLC is extending its reach to Africa’s most populous country. The new campus to be co-hosted by the University of Port Harcourt and the Health of Mother Earth Foundation (HOMEF), will be the second campus in Africa and the fifth in the world. The Right Livelihood College is a capacity building initiative of the Right Livelihood Award Foundation in Stockholm, Sweden, which awards annually the “Alternative Nobel Prize”. The RLC aims to make the knowledge and experience of the Right Livelihood Laureates accessible to all. By linking young scholars with the Laureates, it hopes to make the “winning ideas” of the Laureates inspire, succeed and multiply. The RLC currently has its Global Secretariat at the Universiti Sains in Penang, Malaysia. The RLC will be hosted in the Faculty of Social Sciences of the University of Port Harcourt, in Port Harcourt – otherwise known as the “Oil Capital” of Nigeria. Many Post Graduate students in the RLC will typically focus their research on environmental pollution and on socio-economic issues arising from the activities of the extractive industry in the region. The RLC is the global capacity building initiative of the Right Livelihood Award Foundation, based in Stockholm, Sweden. Since inception in 1980, the Right Livelihood Award, popularly known as the “Alternative Nobel Prize”, has been bestowed on 153 laureates from 64 countries. It highlights and supports stellar achievements in the fields of peace and justice, the environment and for the awardee’s endeavours to eliminate material and spiritual poverty. Laureates of the Right Livelihood Award are automatically Fellows of the RLC. This is of immense benefit to scholars as they have ready access to individuals and organisations that have made immense contributions to humanity through practical solutions. The Fellows act as the principal source of supply of learning resources through engagement in activities of education, scientific research, and practical activities that share and upscale their work. Some of the RLC campuses across the world include the Universiti Sains Malaysia, Penang, Malaysia; Addis Ababa University, Ethiopia; Center for Development Research (ZEF), University of Bonn, Germany, and Lund University Center for Sustainability Studies (LUCSUS), Lund University, Sweden. The RLC’s Director is Professor Anwar Fazal, who won the Right Livelihood award in 1982 for his work to successfully promote and expand consumer rights in Malaysia and internationally as then President of the International Organisation of Consumers Unions. Two Nigerians and one Nigerian organisation have so far won the Right Livelihood Award – Nigeria’s environmental justice martyr, the late Ken Saro-Wiwa in 1994, together with his organization the Movement for the Survival of Ogoni People (MOSOP), and Nnimmo Bassey in 2010. Bassey, Director of HOMEF, sees the coming of the RLC to Nigeria as a vital partnership that will help find solutions to the environmental, economic, socio-political and other challenges besieging the region’s communities. “The RLC couldn’t have come at a better time. The Niger Delta region of Nigeria has brought so much petroleum-dollar to Nigeria. Sadly the extraction of the petroleum resources has brought devastation to the environment and livelihoods of the people. We believe that targeted researches here will generate tools for tackling these problems and that these tools will find application in other challenged territories beyond the Niger Delta. HOMEF is proud to collaborate with the University of Port Harcourt in hosting the Right Livelihood College campus in Nigeria,” he added. 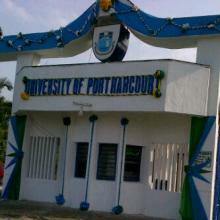 UNIPORT will be formally unveiled as the Nigerian chapter of the RLA Campus during the Sustainability Academy (aka Home School) #02 in Port Harcourt scheduled for between 25th and 26th of November 2013. The event will witness the signing of the Memorandum of Understanding (MoU). On hand to sign the MoU will be Monika Griefahn, Uniport’s Vice Chancellor Professor Joseph Ajienka and Bassey. The new partnership will enable UNIPORT’s Post-Graduate scholars to have access to the corp of Right Livelihood laureates as well as exchange opportunities with four other existing campuses across the globe.